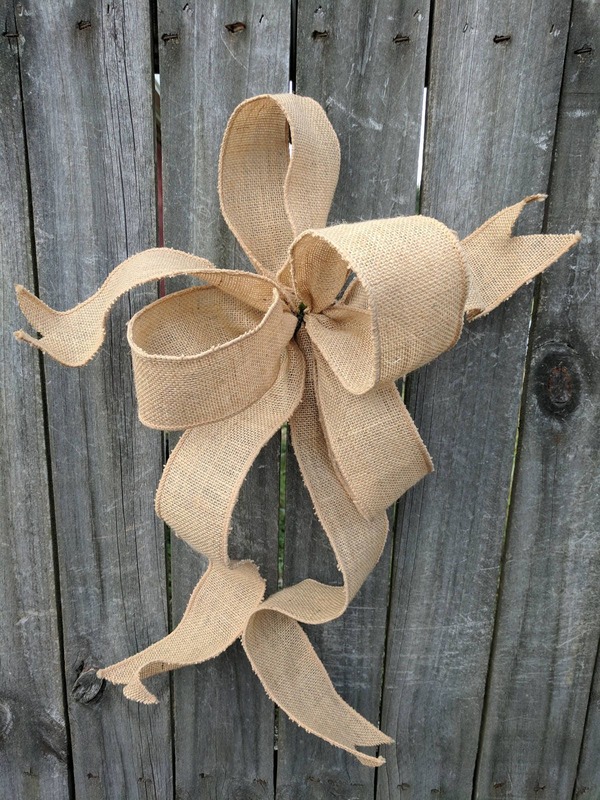 this listing is for the wreath above with an added stick and burlap ribbon. 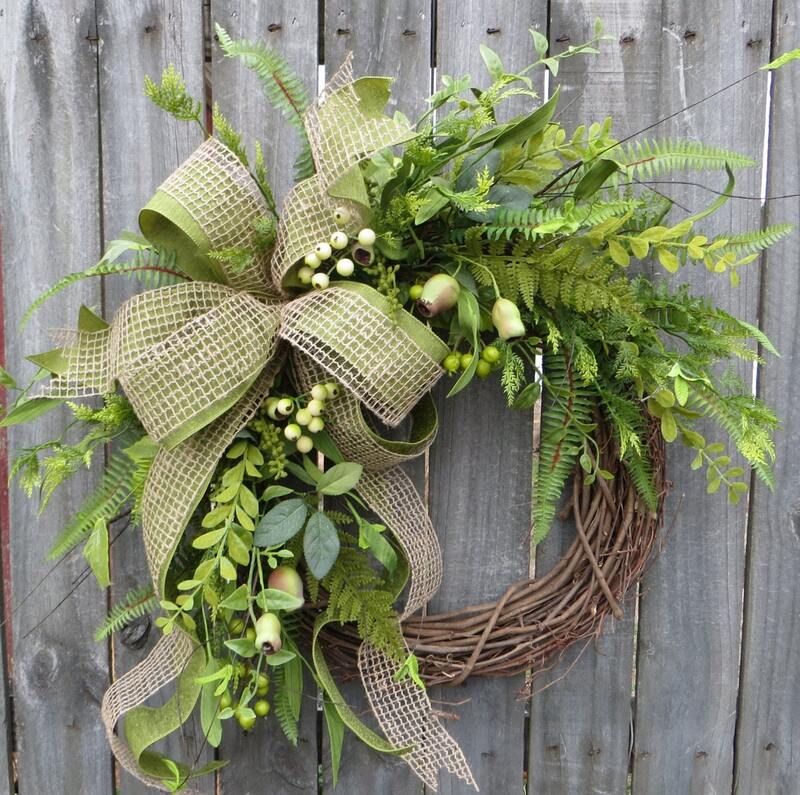 This year round wreath is the perfect accent for a front door or interior space. 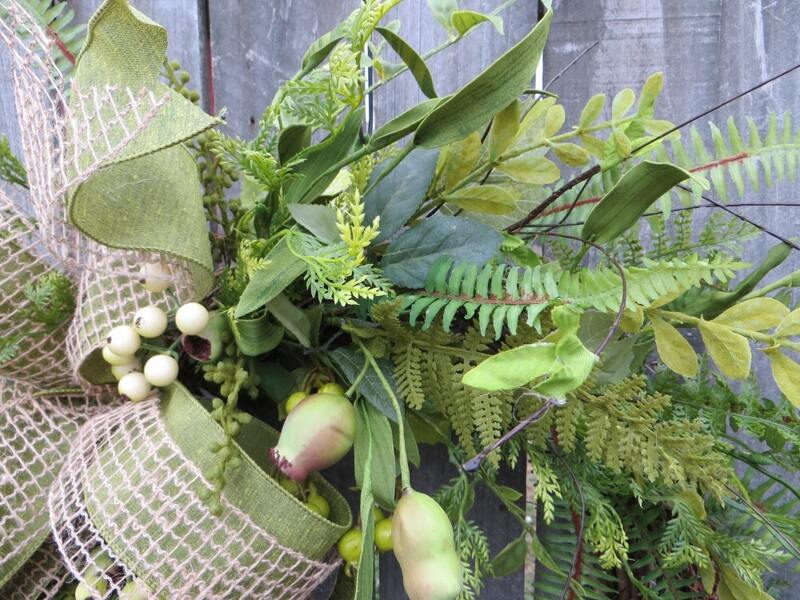 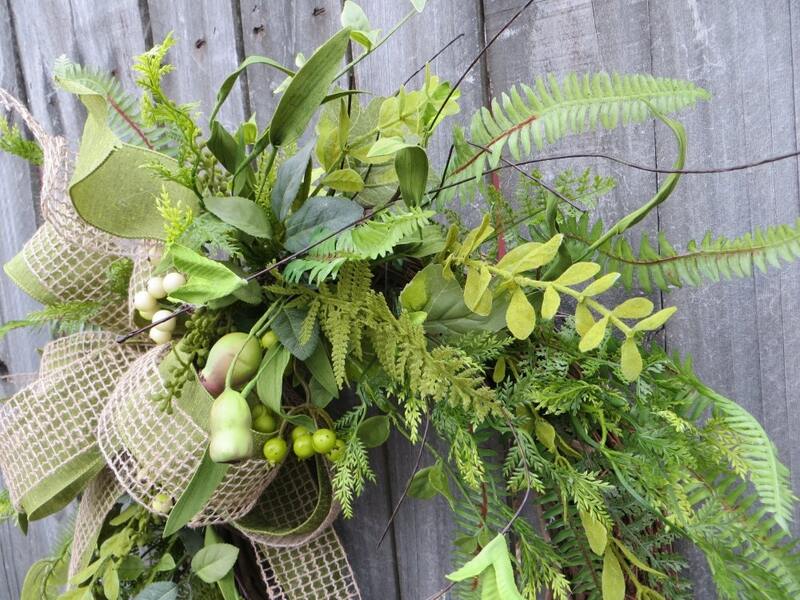 A wild wired burlap bow is surrounded by realistic pods, greenery and fern. 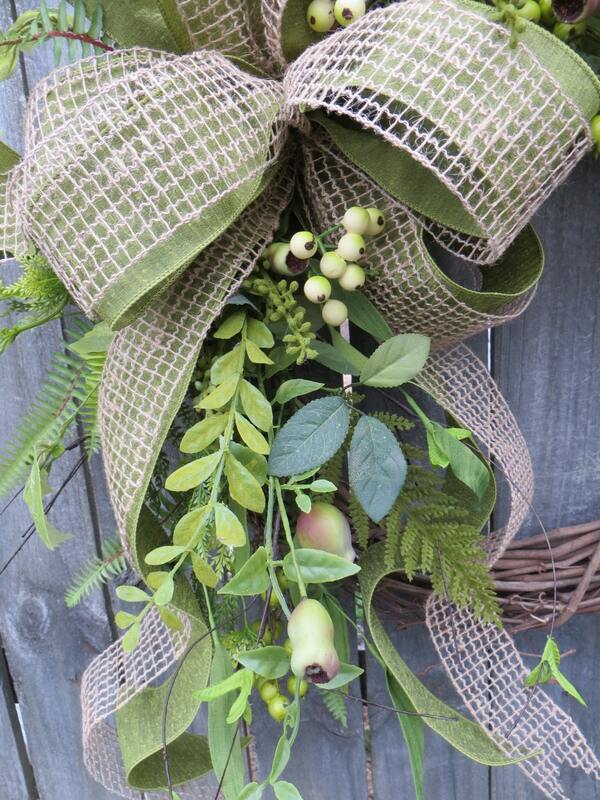 This wreath's greenery has a light and airy feel where the grapevine base is visible in places. 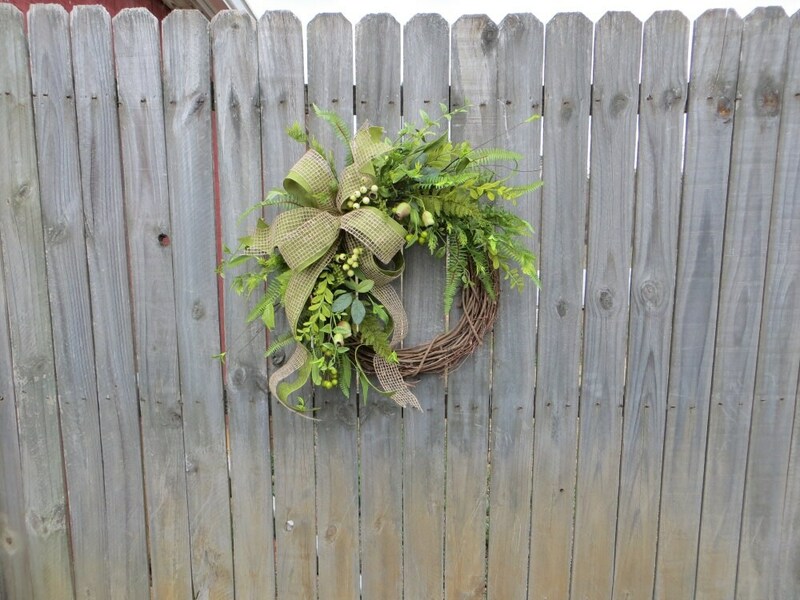 This wreath is available on an 18" or 20" grapevine base.